Empties posts are some of my favourites to read. I really like knowing what products people finish. In the world of blogging I'm well aware we all get new products far to frequently either for those who are lucky enough to be sent products to review, via beauty boxes and those we just can't walk past and leave in the shop and just have to buy. I'm trying to make a real effort to work through items I've got in beauty boxes. I'm guilty of saving this for best or put to one side to take on holiday, nights away and I don't do that often enough. I have worked through quite a few more products than these but they were nothing special, two packs of cotton pads, a few Lush and Bomb cosmetics bath products but I either don't have the wrapper, they didn't have a wrapper or I forgot to include them in the picture. Tresemme 60 second hair and scalp treatment - This is a product I'd used twice and then put away to take on holiday and I didn't. I really enjoyed this products. I initially used it when I had a bad experience with a hairdye and it really helped to calm my scalp. 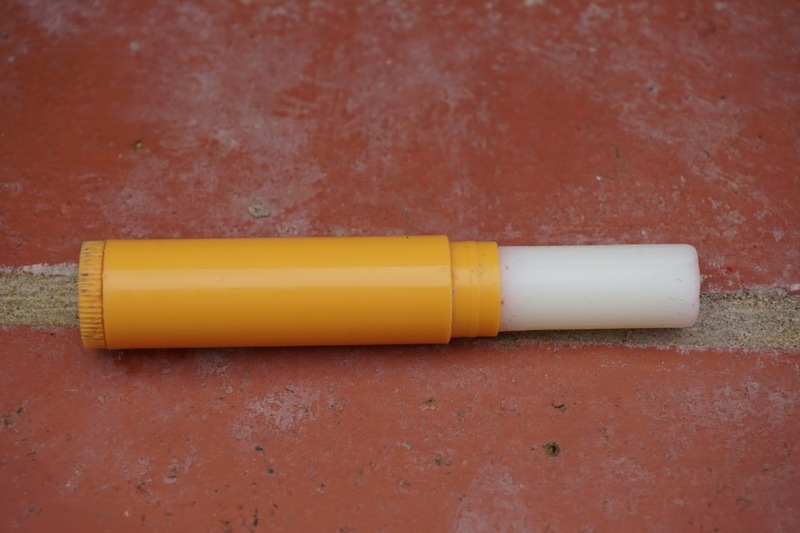 I would prefer to buy a tube or tub of this so I could decide how much I wanted to use in an application. I would buy this again. 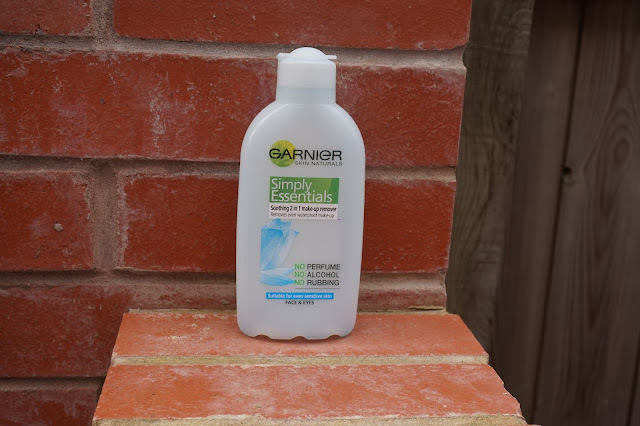 Carex Moisture Plus - I liked this hand sanitiser, I don't feel that it was much more moisturising than any of their other products. This has a pleasant scent and I would buy this again in the future. Balance Me radiance face mask - I've worked through two of these, both came in beauty boxes and I still don't like this. When I posted about this in the past, a few people commented that they'd liked it so when I received a second one I decided to try it rather than passing it on to a friend. It isn't a mask that sets, I don't like the smell and it's more like a face scrub but the scrub isn't rough enough to do anything for me. Balance Me balance me super toning body polish - To me this is exactly the same as the face mask, I didn't find it exfoliating or toning. This is a 50ml sample and I got two uses out of it and I just didn't enjoy it. I don't seem to have much luck with Balance Me products, there is one of their products that i've tried that I would buy again and it was a day moisturiser. Le Couvent des Minimes Botanical Recipe of the Cloister Hand Cream - Despite not liking rose scents, I really liked this hand cream, the berry scent is dominant and I've even considered buying more but I then saw how many hand creams I have already (About 8) and decided I can't justify buying more. P&G Facial Oil - I received this in a beauty box and I never looked to see how full the bottle was as it doesn't state the sample size. I worked through this fairly quickly and I think I might have used too much in each application. I would buy this again but I think I'd get the one specifically for my skin type rather than a one size fits all. I did have to use another face wash after this as it did leave a slightly oily residue behind but I really didn't think that this would suit my skin as I do get quite oily but I'm missing it now it's used up. Gilette with Oil shave gel - This was a fantastic product, it smells nice and it foamed up well. 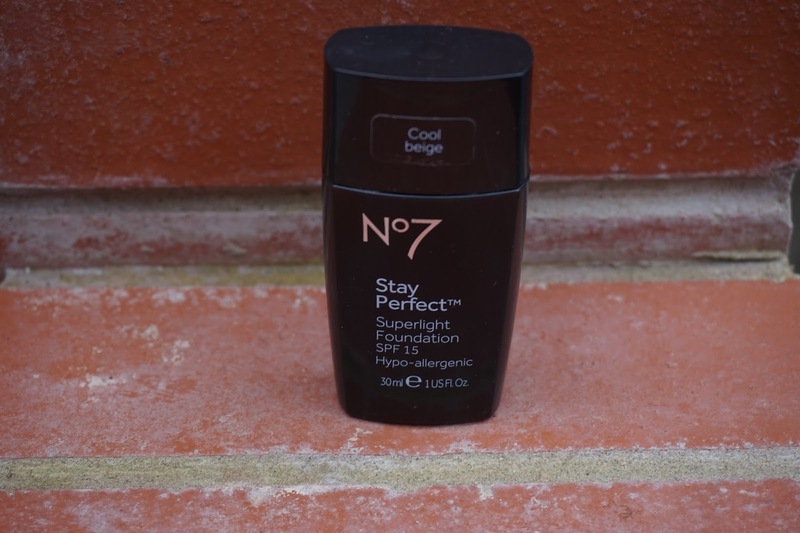 I have already repurchased this and I know I enjoyed it as I worked through it so quickly. 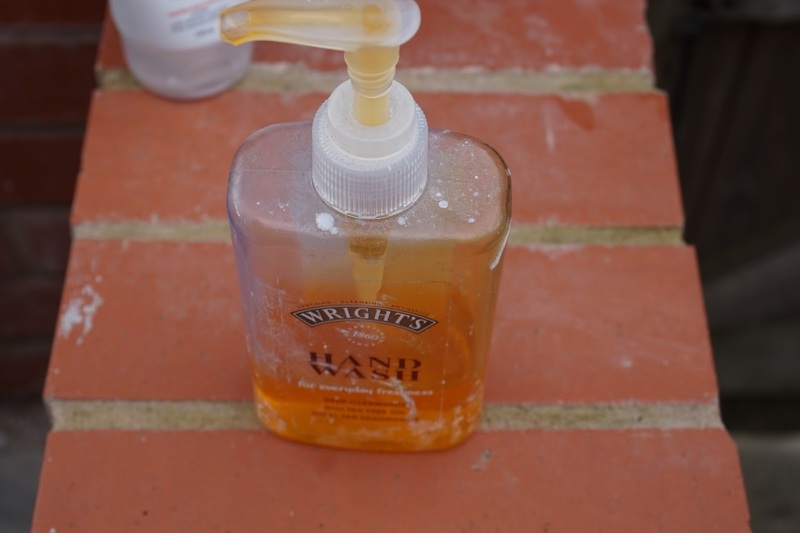 The last shave gel I bought lasted ages as I hated the smell and avoided it. Makeup Revolution The Viper Mascara - By far the best mascara I've used in a long time. The wand is really unusual and is shaped like a cobra's head (Why is it called the viper?) I was sceptical at first but it worked fantastically well and it was under £3. If I didn't have so many other mascaras I'd buy another one like a shot. 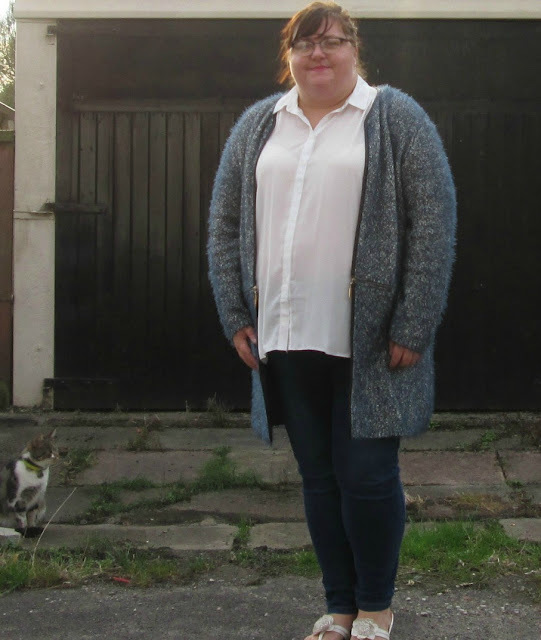 At the moment Yours Clothing is the only dedicated plus size retailer in my town and other than Primark for tops and the odd item in the Dorothy Perkins concession in BHS & Debenhams I can't get clothes in my own town centre. 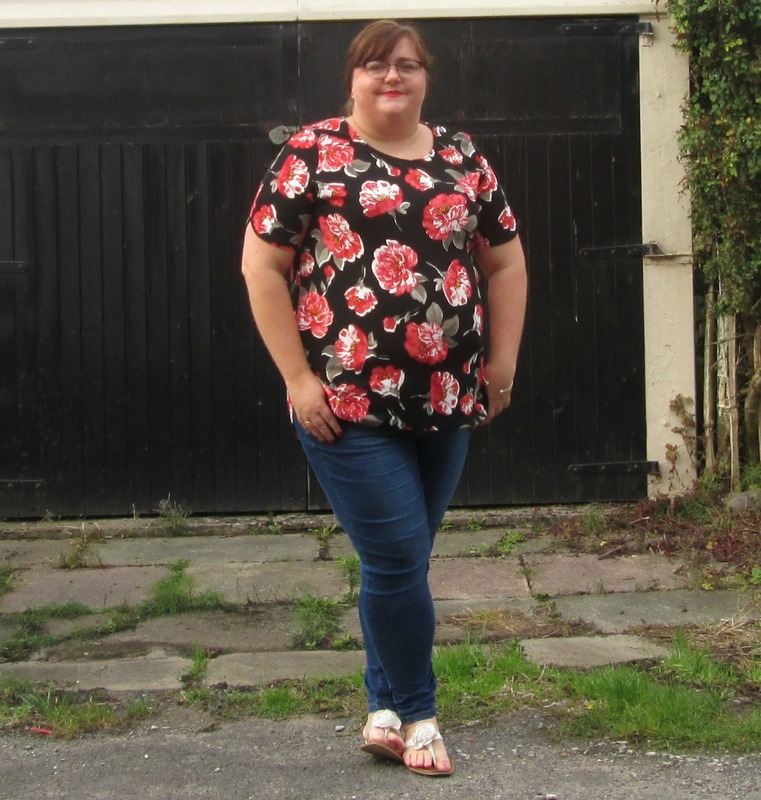 This might be an exageration come to think about it but at a size 20-24 I'm feeling more limited in local places I can get fast fashion items. Sadly these pictures don't do this top justice, it is a beautiful deep aubergine colour. I really like the splits in the side. I'm not sure I'm cool enough to wear something like this. But I did discover that if you spin while wearing it it really flys! Don't ask! (Go and watch Day 25 of Vlogtober). The top was £17 which I think is pretty reasonable for it. I just don't know when I'd wear it and how I'd style it. I also hate that from a size 22 its actually dual sizes 22/24. I'm wearing the 22/24 here. 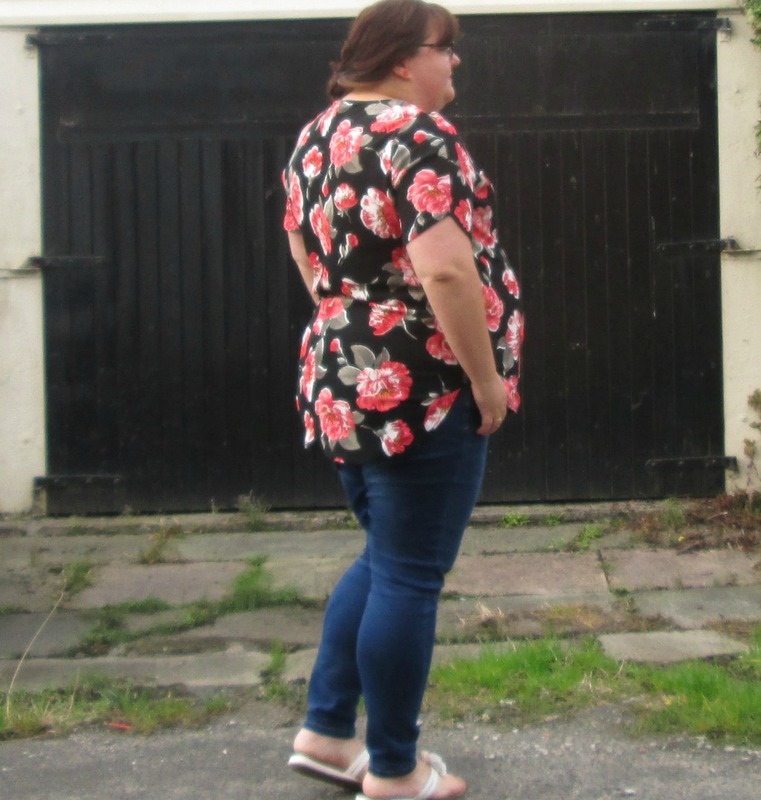 It felt too big on the top and didn't sit right on the neck but with the 20 the top fitted well but the splits in the side where too wide round my hips which made me look like I was wearing too sizes too small. I think a dedicated 22 would have been perfect. 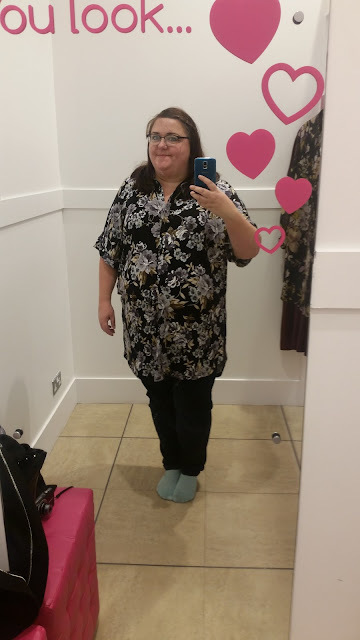 This shirt is a bit of a mixed one for me, I love the colours, the print and that it's made of jersey so it's extra comfy, I tried this in the 20's and it felt a bit too big, I didn't try a smaller one on as I'm just not sure about the sleeves. It makes me think of Hawaiian shirts. Should I try the smaller size? I wanted to give you an update of the Use 10 by Christmas Eve Pan challenge I'm doing with Leah and Laura. This challenge is running between 24th September and 24th December. 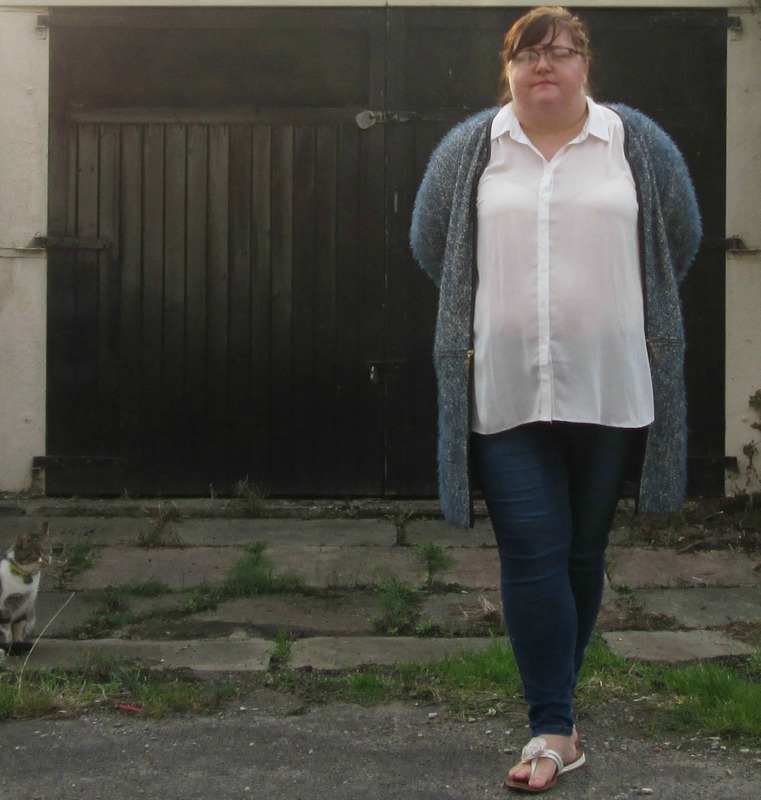 I'm trying to be organised and i've taken the pictures and recorded the video the weekend before so I can have plenty of time to edit and write this post. 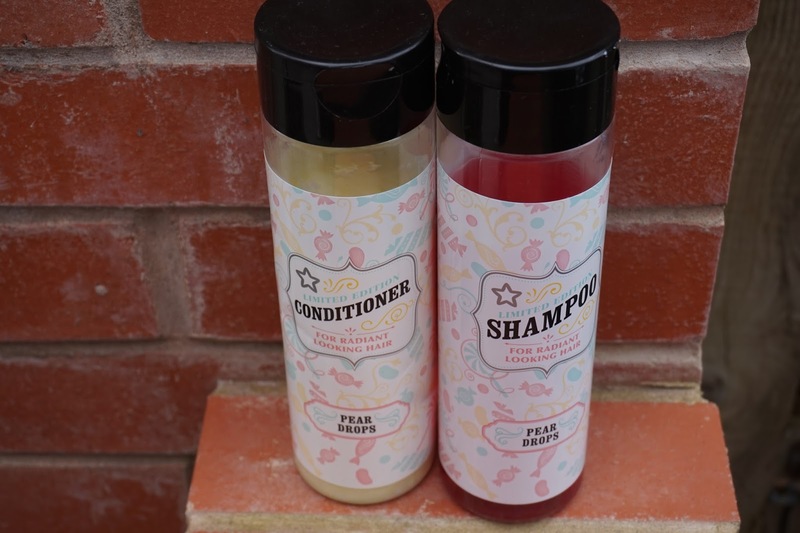 I had decided to use two part used bottles for my first item and I'm pleased to report I have used up both of these products. With this challenge if I finish a product I will be switching in other products. I'm not too bothered about using up the switched in items but I think it will be good to record my progress and make sure that I am using products I already own. The products I've switched in are Garnier Miceller cleansing water & Clean and Clear Lotion. 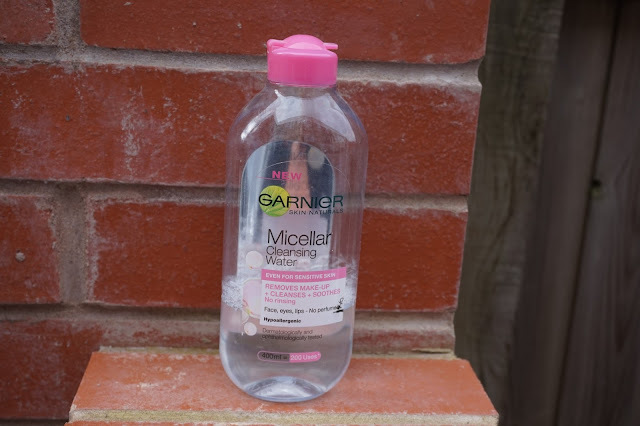 I Like the Miceller water, I did think I'd used this up but it looks like i'd tidied it away. I'm not find of the clean and clear. I did like it when I bought it but now i feel it's too strong for me but there is only a little bit left so I'm confident I can get through it or most of it. I am really enjoying using this product. I'm not keen on the dropped it has inside and I still tend to wipe it all over my face as if I drop it on to the back of my hand it's dried before I can get it to my face. It dries to a powdery finish which I'm really liking at the moment. I'm roughly half way down the bottle but it's hard to measure properly. I feel like I am making some headway into this product. I am concentrating on one area but I'm ok with that. I think it looks like two eyes looking to the side! 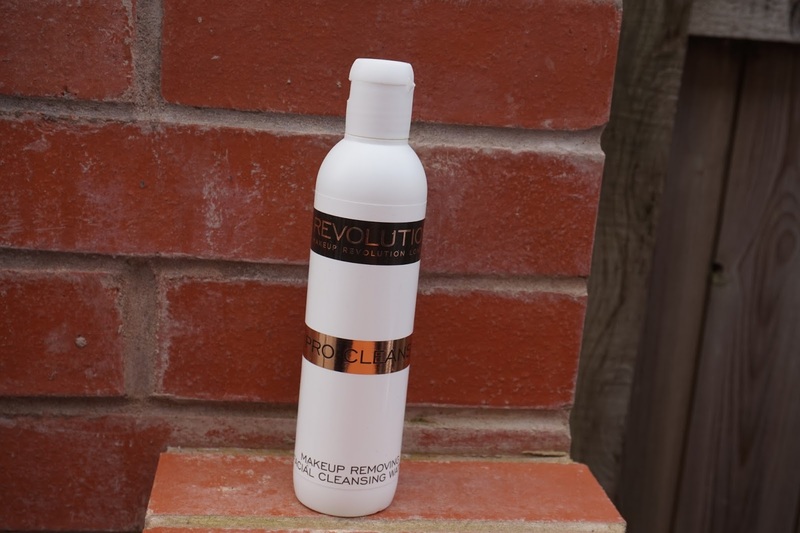 For me the most important thing is that I am getting consistent use out of this product and I've used it every time I've worn make up with the exception of once which I think is good. I really like how it looks when it's on as well. This is the brown shade at the bottom left of the photo. I haven't made as much headway into this as I'd have liked. 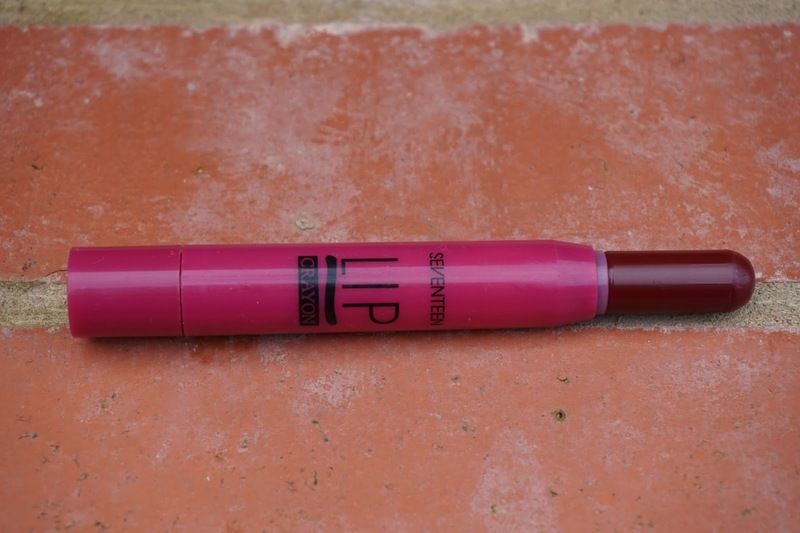 It is a really nice colour but I've just not been using it that much. I've been ill this month and haven't really worn make up and I think having so much choice in colours I've just not been drawn to it. I'm going to make a real effort to use it in the coming month. 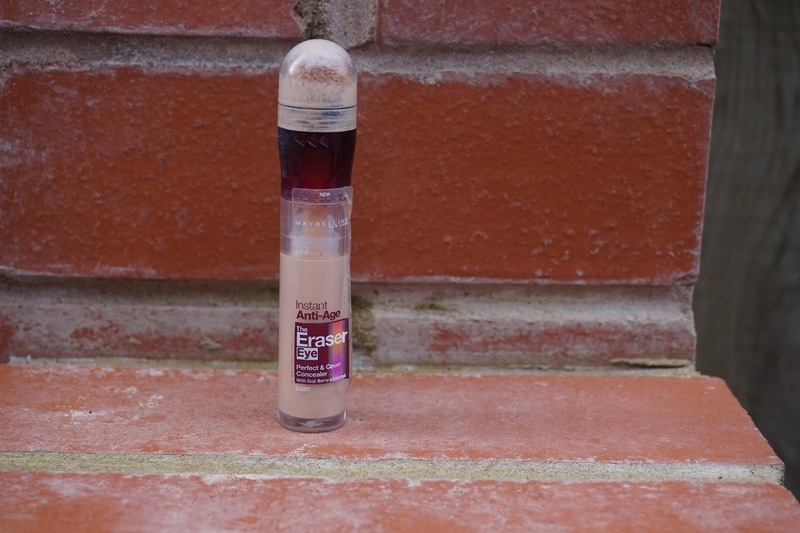 I have been enjoying using this product, I always thought the light would be too light but it isn't as an under eye concealer. I do wish I'd marked the bottle last time and I need to remember to do that. I haven't used this as much as I'd have liked. It is such a beautiful colour, I didn't do a blog post for the introduction of this challenge as I forgot to take pictures but I've just looked back at the original video and I do think it's gone down a little bit which makes me feel a little better. 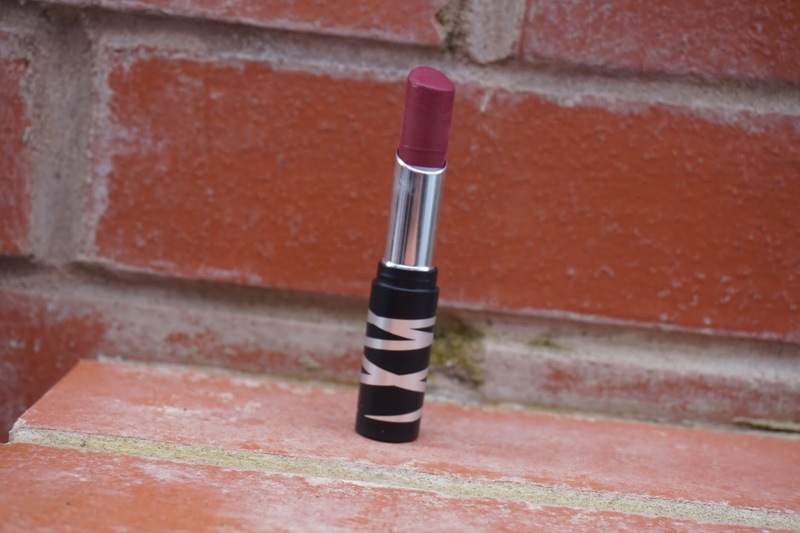 I'm so pleased I included this as I am in love this this lipstick. It's one I dismissed for so long as I didn't think the colour would work for me but I wear it all the time. If I have to pick a downside it's the lid. 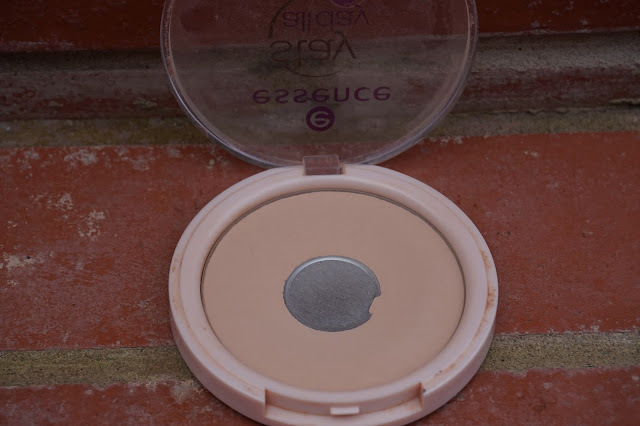 Make up revolution need to work on their lid technology as the lid just won't stay on. I can tell I've used quite a lot of this and I will feel sad if I do use it up and would repurchase it. Another product I like using. I'm not using it every day but It is getting a lot more use that it was previously and I do think it has gone down a bit. I think I did measure these products so I will have to dig out my notes. I have been this consistently an I have used a good amount of it. I'm going to be quite lost once it's used up. I would re-purchase this again, however I would like to try something else before I do that. I need to look through my stash to see if I have another detangler or I will be asking online for recommendations. I forgot to take a picture of this one. I have since realised that I havent got another primer in my other pan challenge. I don't know why I thought that. I have been using this and I do feel like I have made progress. I am getting on with it better than I thought. I have no plans to re buy it but I've decided it isn't terrible. 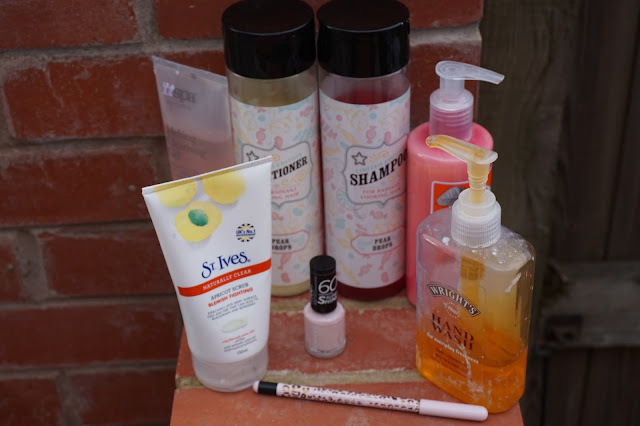 If you're a regular reader you'll know I'm mainly very positive about a lot of the products I buy and get in beauty boxes and I am always honest in how I feel about things but as we all know first impressions are not always accurate. Some times we'll love a product on first swipe but come to hate it. Other times we instantly decide we don't like something but come to find it's a pretty decent product. For the past few weeks I've been keeping a mental list of products I've not enjoyed. I have tried them all a number of times with the exception of one and I've even taken one off my list as I stored it in a different way and decided I quite liked it. That was in my last empties video I believe. 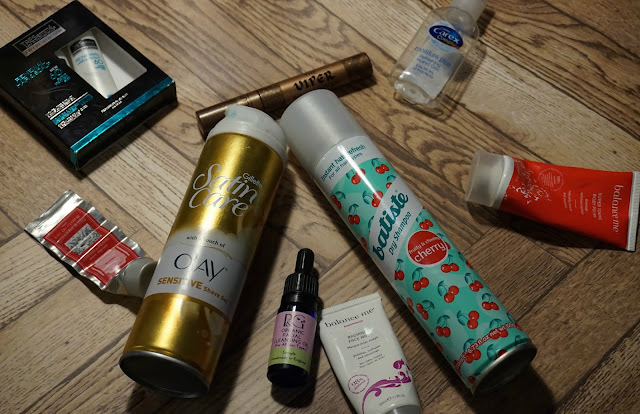 I'm sure there are many more products I dislike but I either don't like them that much as they didn't come to mind or I've worked through them and they have been in my empties posts or I just gave up on them and have thrown them away. I'm sure with these products many of you will like them, at least on of these were recommended to me so I know others like it. 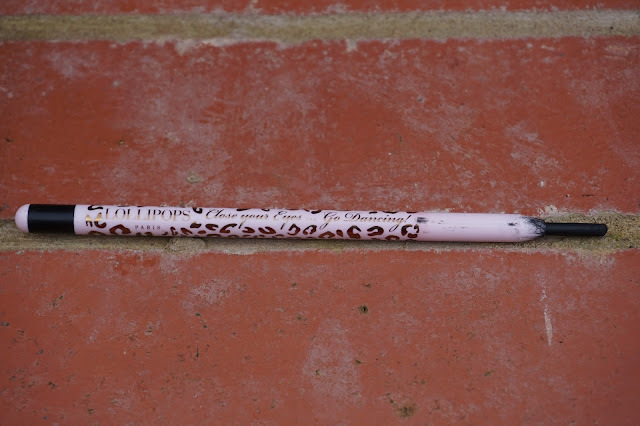 I've tried this a number of times and I go through phases of using it regularly, but I just find it messy, I spend more time mopping up the smudges than anything else. I am determined to finish this product but I would not buy it. This came as a bonus item in a beauty box. I love the packaging but that's it's only good point. 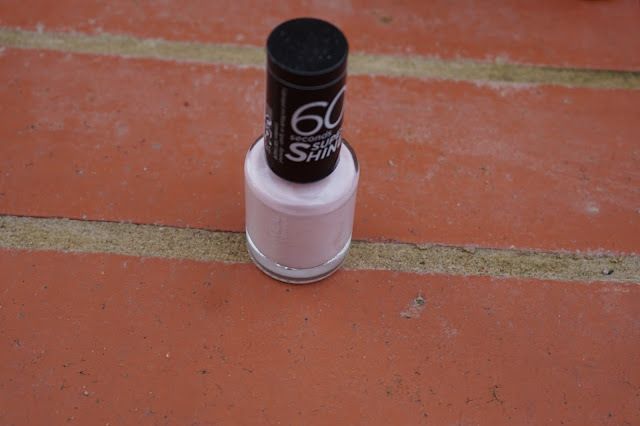 I also got this in a beauty box and I was excited by the colour. 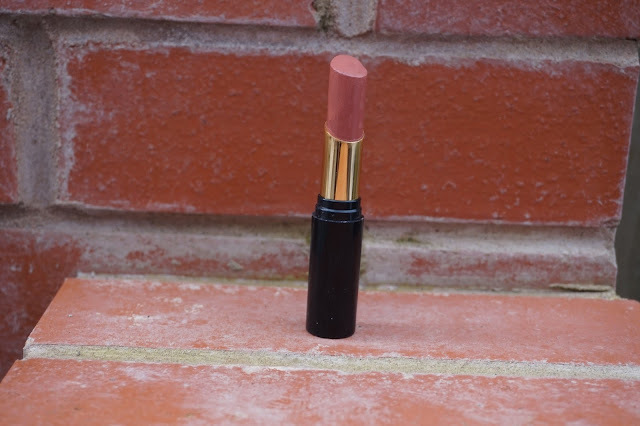 To me it looked like it was going to be quite a sheer shimmery shade but it goes on like pink tipex. Not quite matt more of a satin and it chipped so easily. I really didn't enjoy using this and It's not one I would buy again. This doesn't smell like coal tar soap, it smells very cinnamoney and I feel annoyed every time I use it. I don't know what it is about this that I don't like but it just isn't for me. 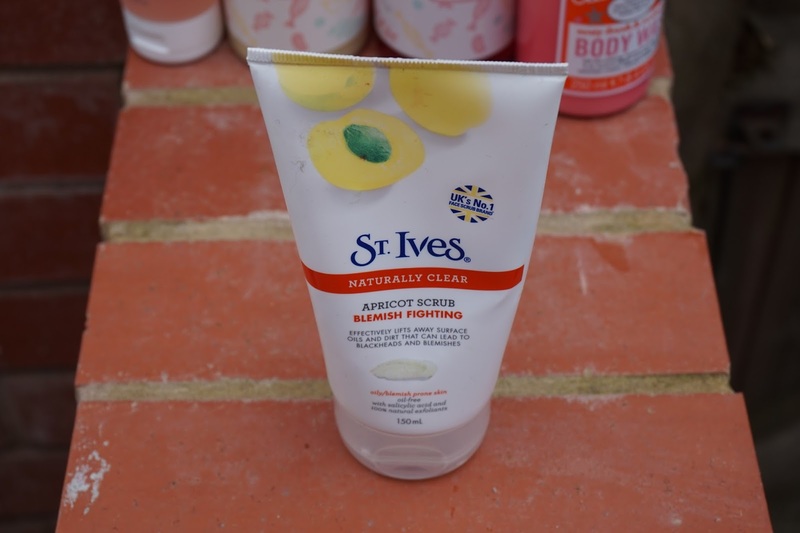 It's fairly gritty which I like on a scrub, it smells nice and I love the smell of apricot but there is something that I can't put my finger on it and I keep avoid using it. I need to add a disclaimer that the pictured product might be ok, it's being used to illustrate the range not the individual product. In the January sales I picked up an Orangeasm set in Boots and the smell. I know I am smell sensitive but the scent is just too much. It smells like orange tic tacs and I just don't care for it. I got the EDT which I threw away almost as soon as I got it (OK 6 months later... I couldn't even palm it off on anyone!!) I have this and a body cream to use. I will try both but this is just an appeal to brands not to make things smell like tic tacs. I don't know if I got a bad one as I've never heard anything bad about nSPA products. This was reduced which makes me wonder if it was old stock. These are a massive fail for me and they even got me looking on Superdrugs website looking at the no quibble returns on own brand products. The shampoo leaves my hair dry and the conditioner doesn't seem to have any effect on me. I also don't get a peardrop smell. I'm not taking it back as my mum has been using it and I think she likes it. I feel sad these don't work for me as it took me ages to track these down and while they didn't cost a lot, it's money wasted. For the past few weeks I've been stalking this top in my local Yours store. I really do like everything about it. 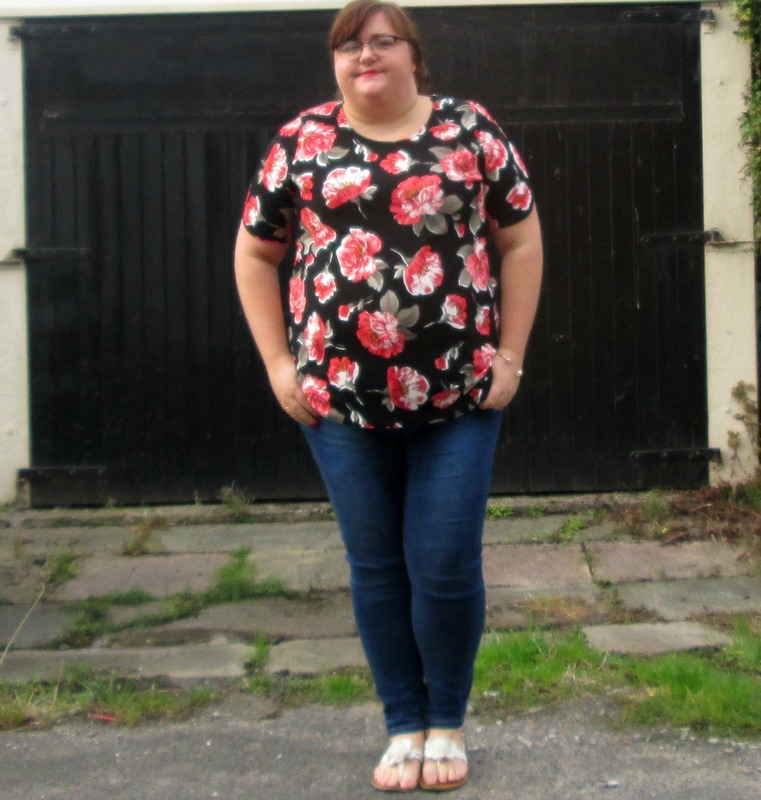 From the print, the colours, the style of the top the only thing that has put me off is the sizing. It goes to a size 20 in single sizing then switches to dual sizing 22/24, 26/28, 30/32. I'm roughly a size 21 in most Yours items. I know a totally none existent size, the 20 is a little small, 22's are usually a little big. If I had the choice I'd go with a 22 but when it comes to dual sizing because a 22/24 is technically a 23 and is too big. 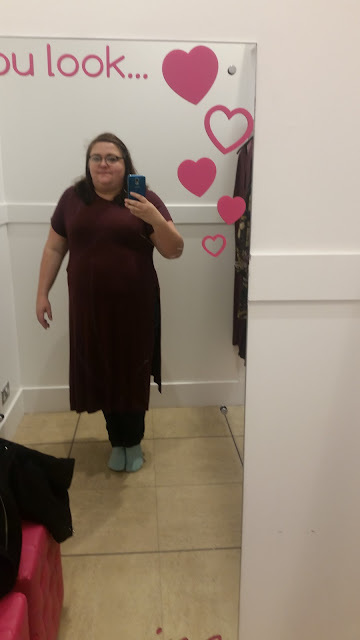 I've been undecided for a few weeks and tried it on again and knew I wanted it. Really wanted it. Not I'm prepared to wait for the sale and if it gets reduced, it's meant to be want it. I didn't notice the detail on the sleeves until I edited these photo's but I really love it and it sounds really sad but It makes me feel happy that I own it. I ended up getting it in the size 20, I feel that it looks ok in the front but a bit tight across the back. The top cost £19 which I feel is a little bit expensive for a top but I am a cheapskate but I know I will get a lot of wear out of it. 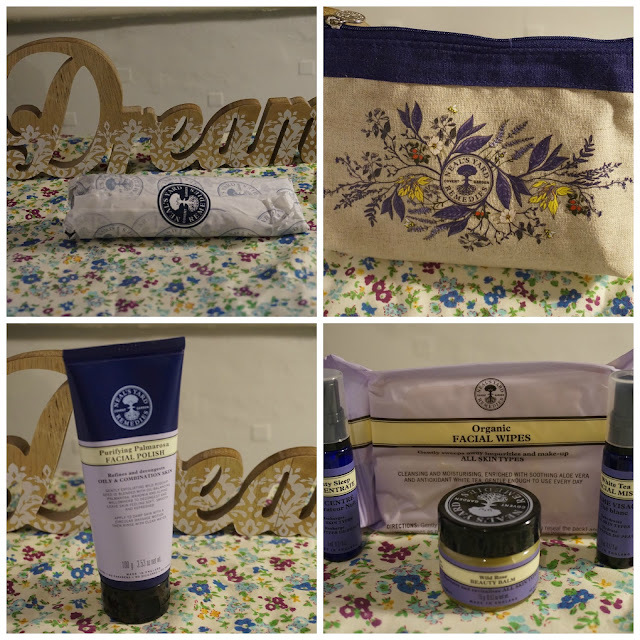 A couple of weeks ago I went to an event at Neal's Yard in Manchester and while I was there I picked up a facial scrub and came away with a little goodie bag and I just wanted to share what I came home with. I've been looking for a good facial scrub for a while and I did pick one up from boots but I'm just not getting on with it. The scrub I picked up is the Purifying Palmarosa Facial Polish which is £16 for 100g which is usually out of my budget minded ways but they kindly gave us 20% which made it feel a bit easier to buy. However saying that £12 for something I will use rather than spending a few lots of £3 on things don't get used. The next item was a goodie bag as we were leaving. I was really surprised with what they gave us as I wasn't expecting anything. I don't know if everyone got the same or not but I'm really chuffed with what I got and it is things I will use. It is a festival survival bag and had 4 products inside. A pack of facial wipes. I've had these before and they are really nice. They are organic and I found they worked well for my skin, Wild Rose balm. This is a multipurpose balm and while I don't like rose scents this is a different type of smell it's more rosehip than roses. There is also a sleep concentrate which I've never tried before and I need to have a look at how to use this. The last item is a white tea facial mist. I've also had this before but if I remember mine leaked and I think I threw it away. 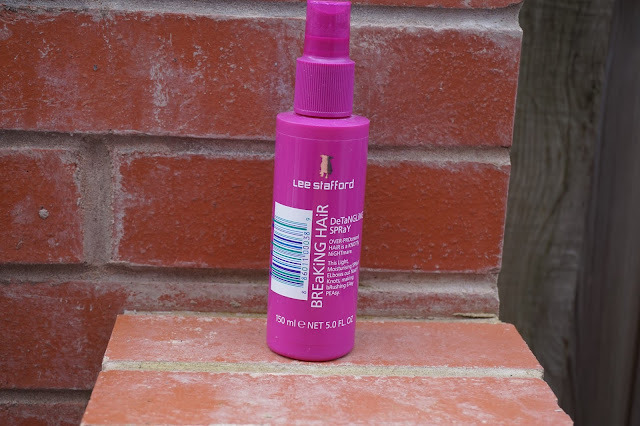 It's a lovely product and it's nice to keep in the fridge and give a light spritz when you need a bit of a refresh. A big thank you to NYR for the invite to the event, the discount and the goodie bag. I wish you well in your new location. If you've seen my other recent posts about the Items Balsamik sent me to review you might remember there was talk of a coatigan that I'd not managed to take pictures of. I finally got some and I even had a little photobomber in the background. Meet Tabitha (or Brian) it's a random cat this is always handing about. It has a collar on and all our neighbours call it Tabitha the Tabby cat (we're all soooooo original) but one day I said I bet it wonders why they call her Tabitha when he's really called Brian! It doesn't respond to any name and no one can get close enough to see if she has a tag on her collar. I digress, The coatigan is beautiful and really soft and fluffy. I've worn it a few times but the weather has been mixed where you need 57 layers in the morning and by noon you want to wear as little as possible. Last Saturday I wore it with my new Koko shirt that I picked up at The Curve Fashion Festival and my Skinny jeans from Evans. The shoes are old flipflops we keep by the backdoor. I have finally conceded that it's no longer sandal weather. One month on and I'm still enjoying these challenges and I do think that I am using more products than I would have done and I feel like I'm making myself wear make up. That sounds like I'm forcing myself but that isn't a bad thing as I do get a bit lazy and either not wear make up or wear the same things over and over again. Chubby Stick Lipstick - 17 Lip Crayon in Knockout - I have used this a few time and I've worn the point to a more rounded shape. This is a really lovely colour but I do feel that it is a bit messy. I doubt I'll use it in this challenge but it is getting me to use the product up. 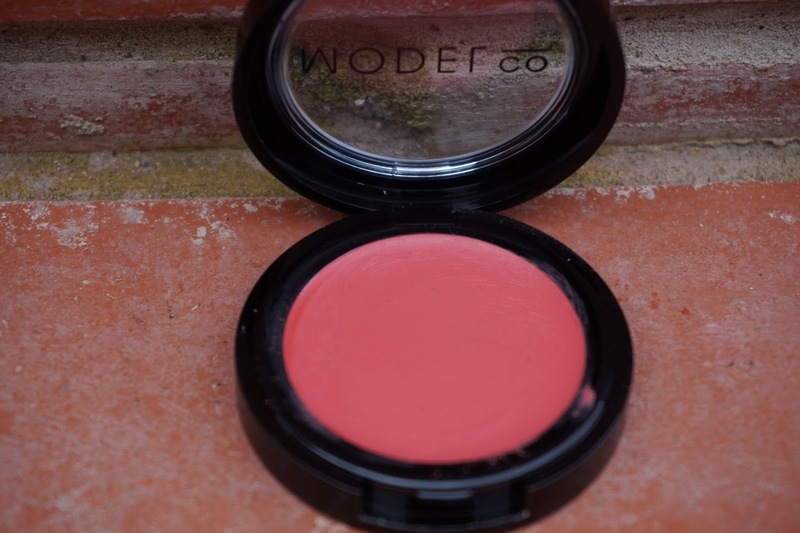 Something you keep avoiding - Models Co Cream Blush + Lip. I'm still avoiding this product. I've swatched it a few times and I may have used it once but I'm not loving it. I did say I was going to watch some you tube video's on how to use it but I haven't. 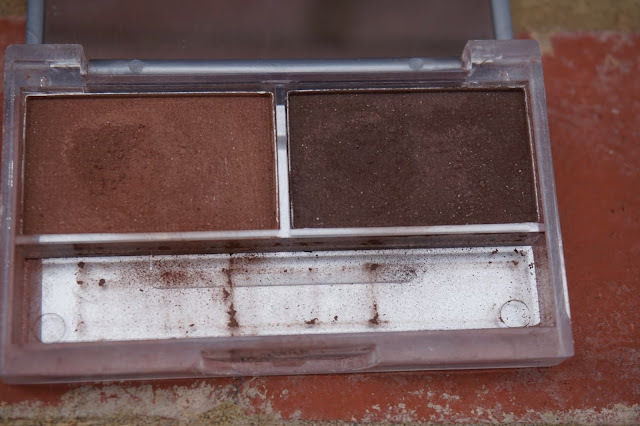 I find when I swatch it it's such a pigmented colour, I'm scared of it. 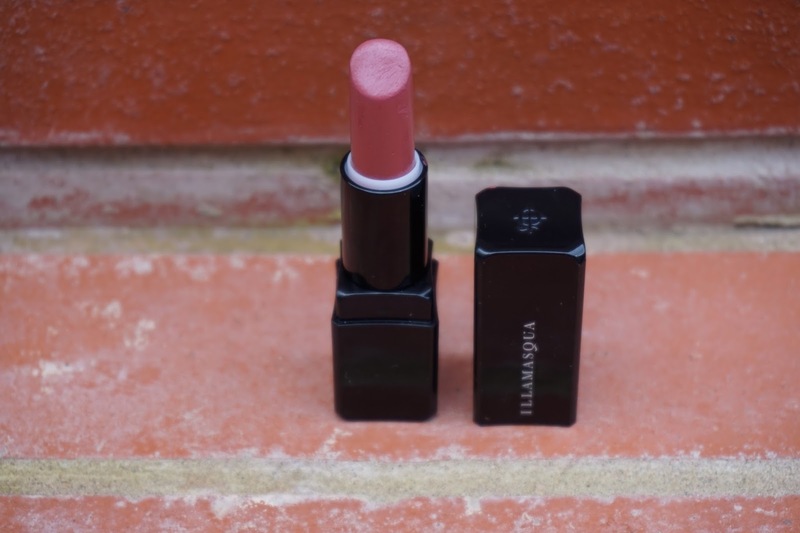 High End - Illamasqua Lipstick in Minx - I have used this a few times. I'm doing three pan challenges at the same time and I have a few lip colours so I'm trying to alternate them but as this one is an expensive product it tends to get let out. I have worn it for work a few times and I really love the colour. I don't think I will work through the full tube but it is getting me to use a product I would normally pass over. Something you love- Essence Stay Matt Allday in 10 Matt Beige - I have hit pan!!! I'm really enjoying using this product. I've hit pan and the pan showing is quite sizeable but I'm going to keep going with this for the time being. I'm not ready to swap it out for anything else yet. Foundation - No7 Stay Perfect Superlight Foundation Coverage - I'd originally decided to use the No7 Intelligent colour foundation but after a few weeks of not wearing it I realised it wasn't the right colour for me any more. I'm really enjoying using this foundation. It's in an opaque bottle so I can't tell were i'm up to but I'd estimate i've used about 1/4 of it. 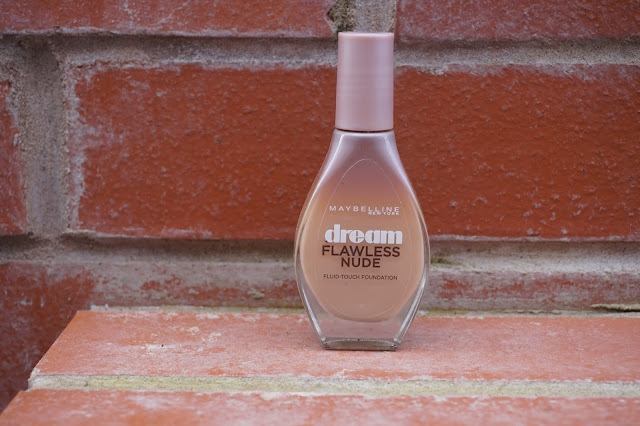 I am alternating this week on week with the Maybelline from another pan challenge out of the two I prefer this one. I've hit pan! I didn't know the joy that comes with hitting pan. I still have a bit of product left but when I started this I had decided to switch in products as I run out. 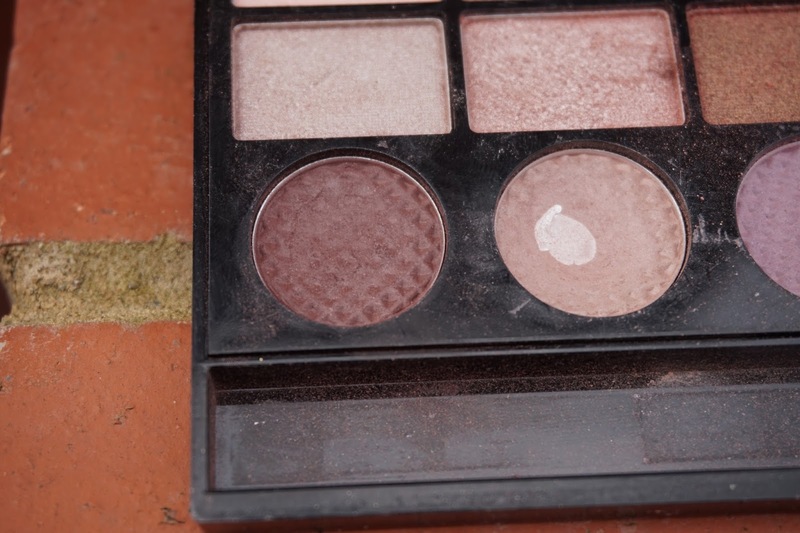 I'm also going to monitor the progress of another eye shadow in the same pan which is called shooting star, I have also hit pan on that shadow but it will be nice to see if I can totally use both shades up. The picture below shows the shade shooting star, I forgot to take a picture of Girls on film colour. An Eye shadow single - Wild About Beauty in 06 Alana - I have made a significant dent in this product and while I may be cheating by concentrating on one area, I don't care. 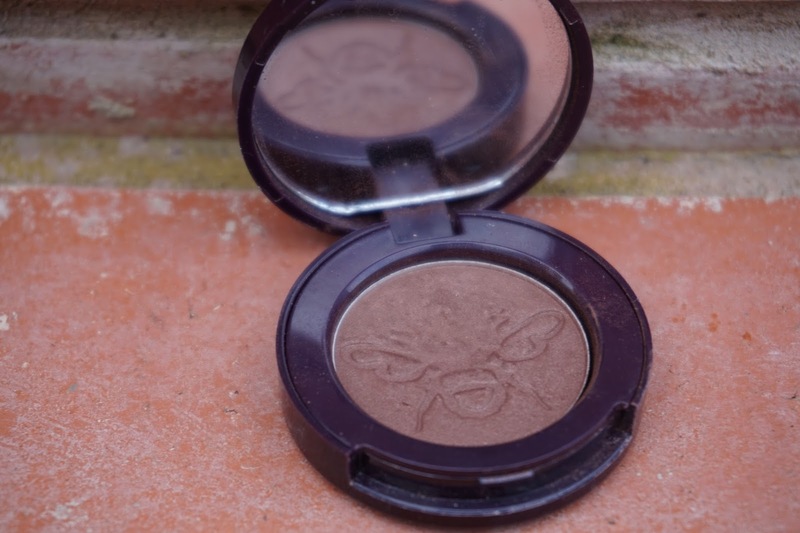 I'm using a product I've had for a while that I wouldn't other wise use and I really like this product, It is a beautiful colour and I really like this as a lower lash eyeliner. 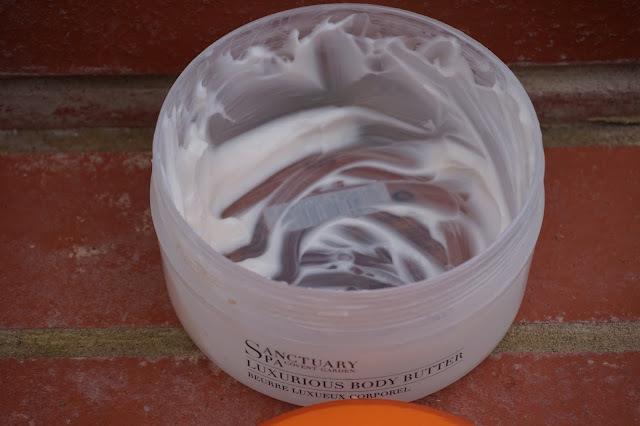 Body Butter - Sanctuary Spa body butter - I'm doing remarkably well with this product. I'm only using it a few times a week and mainly on my elbows but the tub is going down and I am confident I will use this up in the not to distant future. Lipbalm - Burts Bee's - This may have been a mad choice. I'm not enjoying using it at all. 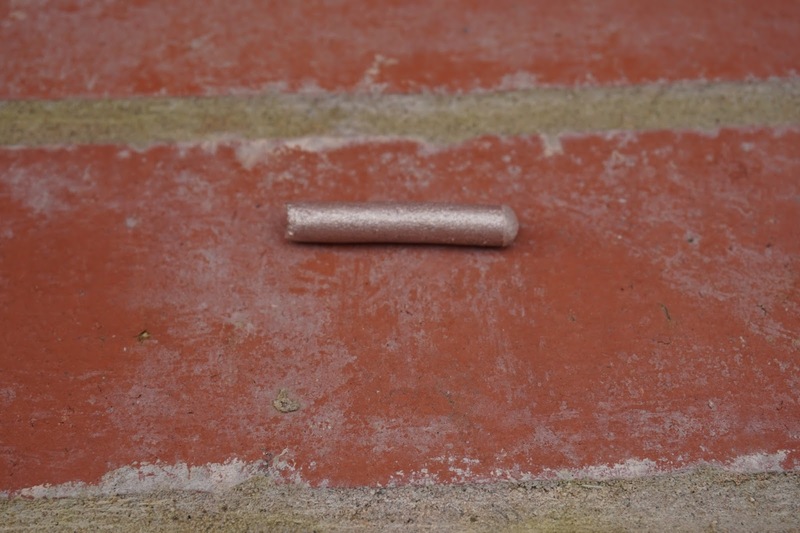 The product itself seems quite crumbly and it's more drying than anything. I have used a fair bit and I'm going to leave it in my bag and just hope I can get through it soon. A Nail Product - Essie Milionails - I've hardly used this product may be twice all month. I did go to use it a few days ago but decided to try something else which I think I like better! I'm going to aim to use it once a week and see how it goes. 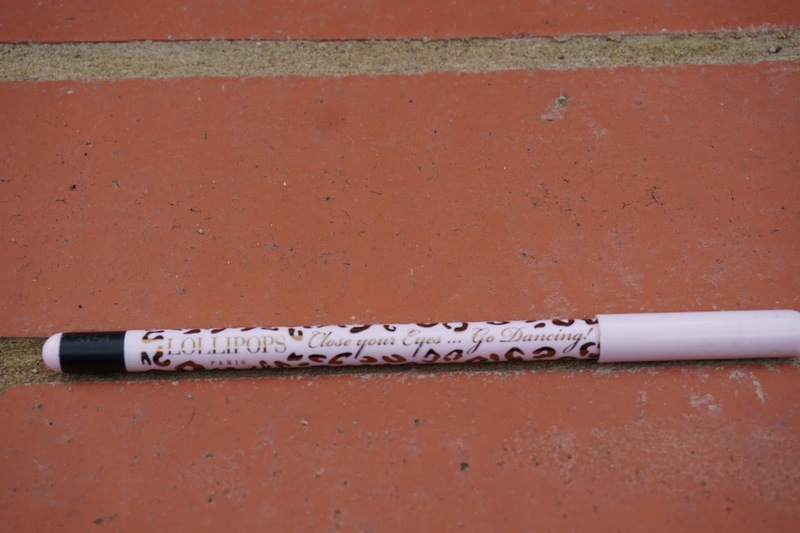 BONUS Product Lollypops Eyeliner Black - I'm having a break for this product. I really don't like it and I want to give up on it. I think I've got about a week or two's use left in it but it's got to the point where I really don't want to use it. There is nothing I'm ready to give up on and throw away. There are a few things I know I will finish and others I know I won't but just to work through things feels good.